Ejay Filtration manufactures precision filtration products, restrictors, strainers and other items for demanding industries, including aerospace engineering. 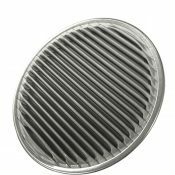 The Reversed Punch filter disc is made for the exact filtration needs of the aerospace industry, with customization options available to suit a variety of applications. Ejay Filtration uses specialized tooling processes to construct uniform filters with exceptional filtration for both liquids and gases. The Reversed Punch filter disc is made for the high demands of the aerospace industry, with the durability and performance required to optimize operations. With standard sizes and tolerances available, as well as customization options for the perfect fit. 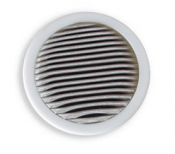 Contact Ejay Filtration to order or customize a filtration disc.